Quail, the second baby stroller from the Egg brand by BabyStyle, at Mari Kali Stores. Following the huge success of it’s predecessor, Quail is the new baby stroller that features Egg’s signature design with even more, exciting features. Quail, the second stroller from the Egg brand by BabyStyle is coming soon, at Mari Kali Stores. Following the huge success of it’s predecessor, Quail is the new baby stroller that features Egg’s signature design with even more, exciting features. 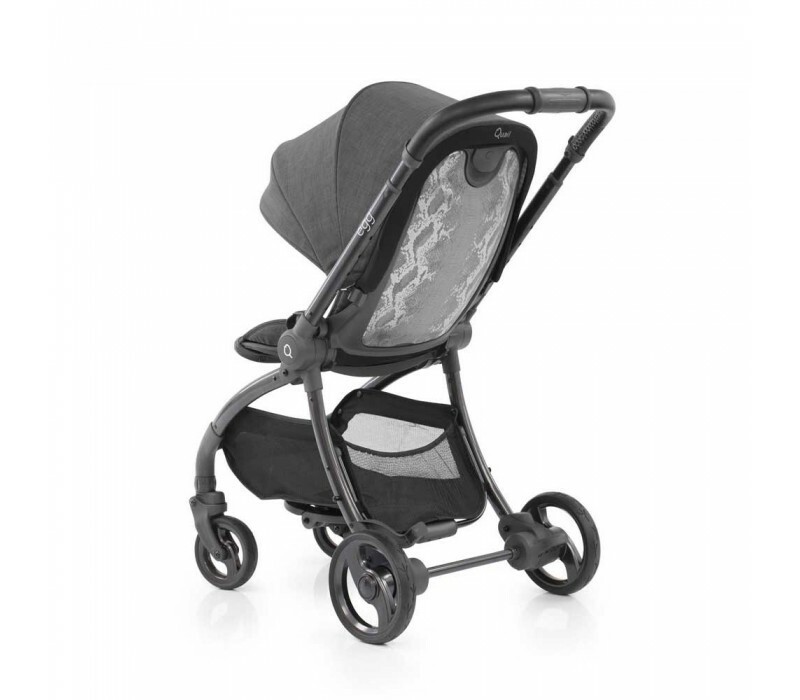 The main focus of the egg strollers brand and BabyStyle has always been to provide a comfortable ride for both you, the parent and your baby. Quail has a similar look and design to the original Egg Stroller, from the fabrics and harness, to the amazing quality hood and overall shapes. This new full pushchair has not been designed to replace the original, but acts as an alternative choice for parents with different lifestyles and needs. On the back you will notice a removable back plate. This part can be swapped easily for a different one and is held magnetically. 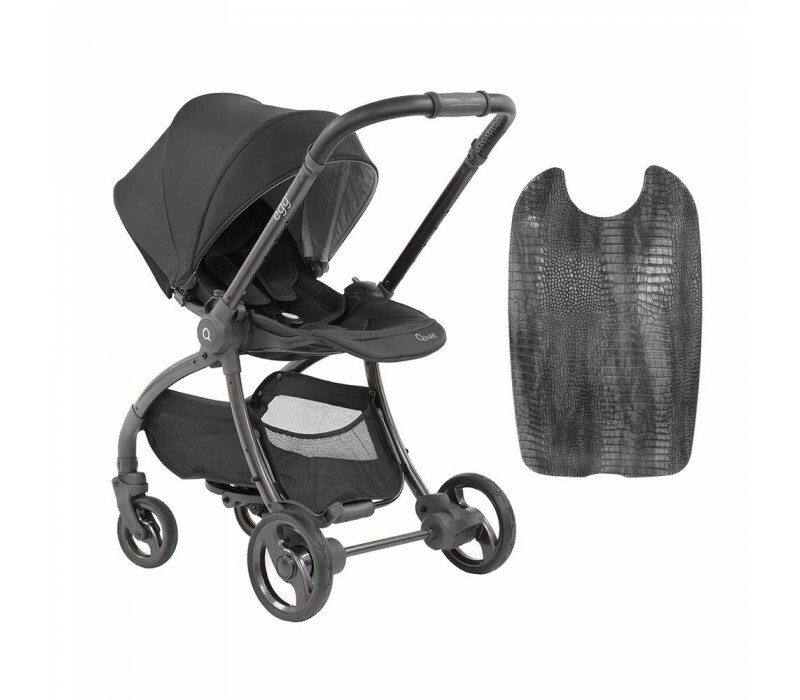 The back plate acts as a barrier from you and the strollers’ seat unit mechanisms which hold the hood adjustments and harness adjustment. 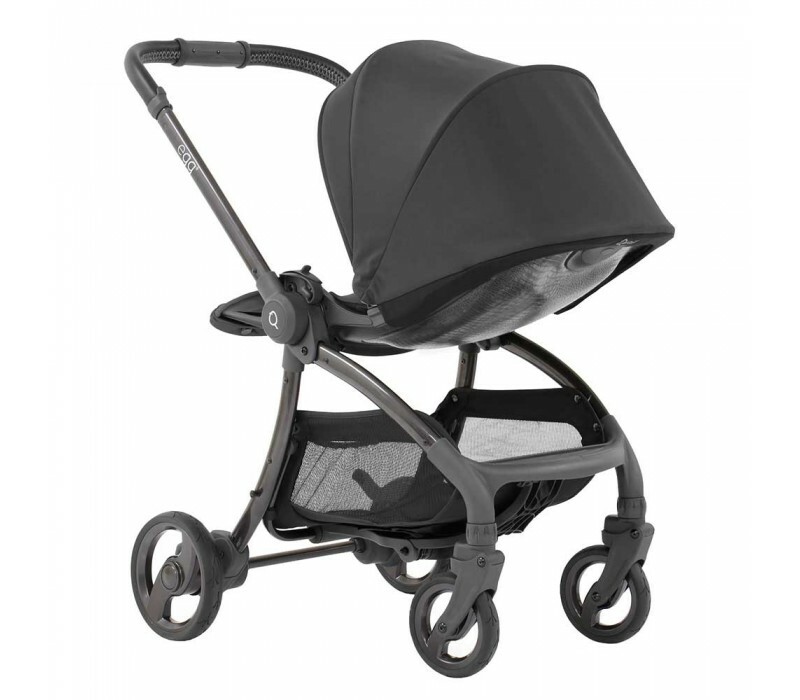 The Babystyle Quail has an impressive adjustable harness and hood mechanism, which are moved up and down using a slider on the back of the chair. This makes it much easier to vary the position and the mechanism is covered with a removable, magnetic cover, which comes in a range of colours. Compatible with car seats to form a travel system Cybex and BeSafe car seats are compatible with the use of multi car seat adaptors. 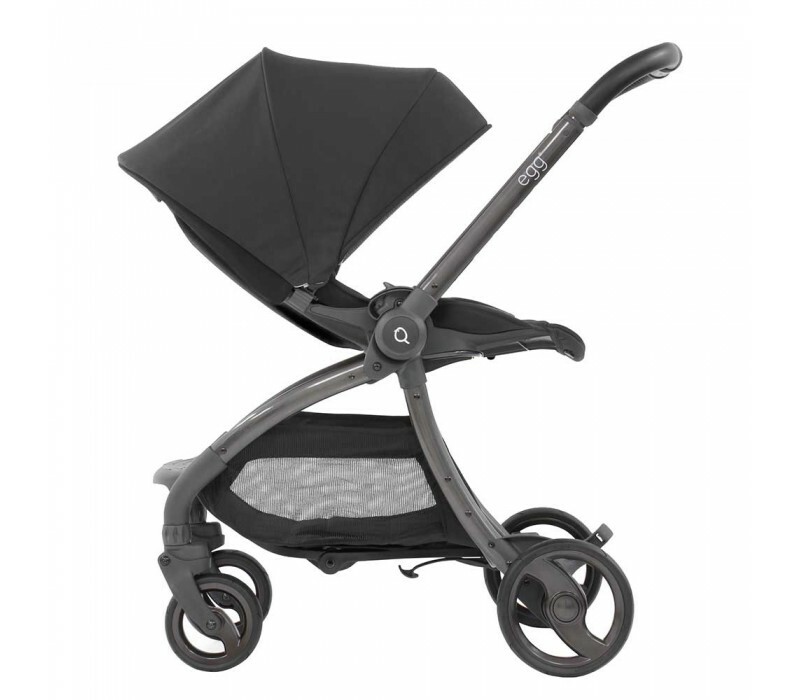 Tru-ride wheel technology - Lockable swivel wheels have a 'step-on, step-off' brake, making the stroller extremely easy to manoeuvre. The Quail features solid non-puncture EVA tyres. The comfortable seat unit is suitable from birth thanks to its lay flat capabilities as well as multiple recline options. You can choose to face the seat towards you in the early days and then switch it with one click to world facing when your little one becomes more inquisitive. It couldn't be easier to adjust the Quail to perfectly accommodate you and your little one. The back panel hides a a simple mechanism to adjust the height of the harness and head cushion as well as the hood, so you can get it just right. The removable back panel can be changed to a number of different styles and colours (sold separately), and the simple magnetic attachment means its quick and simple to change. Just like its older sibling, the Quail features a sleek and elegant silhouette. The Gun metal chassis gives clean bold lines that compliments the Quail in every colour. 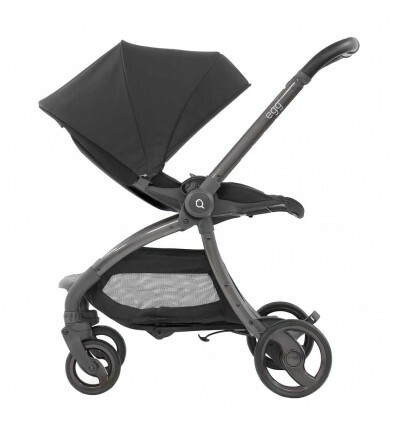 The chassis folds down to a small package that's lightweight and easy to store anywhere. It can even be folded while the seat unit is still attached in either position and stands alone when folded. The all round suspension and Tru-Ride technology provide a smooth and comfy ride for your little one, while the puncture resistant, foam filled tires ensure you have peace of mind when you're out and about. The tyres even feature an adorable little Quail footprint tread, for that extra level of detail. The Quail has the options of both rear and forward facing. Quail is available in 4 unique, versatile colours. Quantum Grey, Latte, Gotham Black and Strictly Pink. Here are all your backplate choices. Each Quail by egg comes with a backplate of your choice. The photos below show the main functions of Quail. 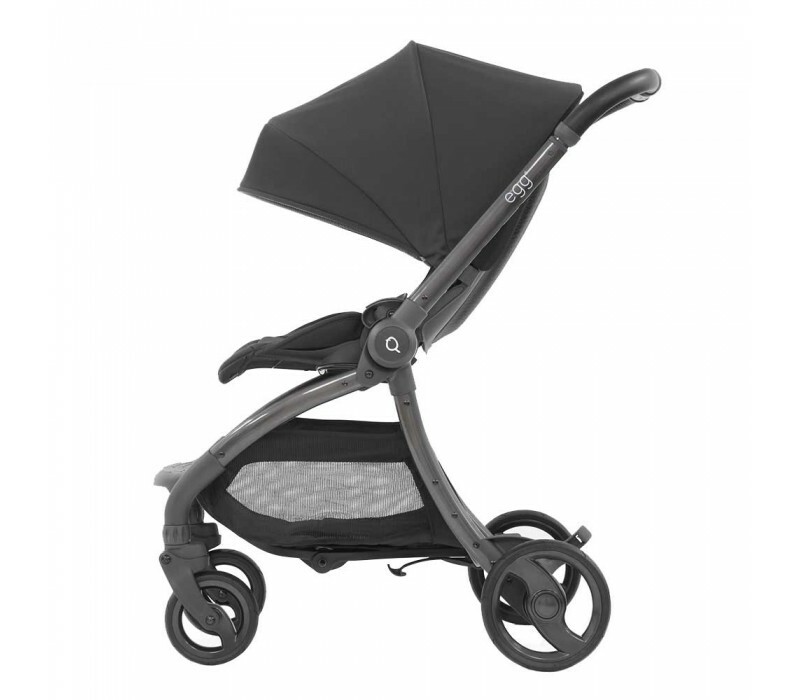 What makes the Quail stroller stand out from the rest is something that you can’t notice right away. 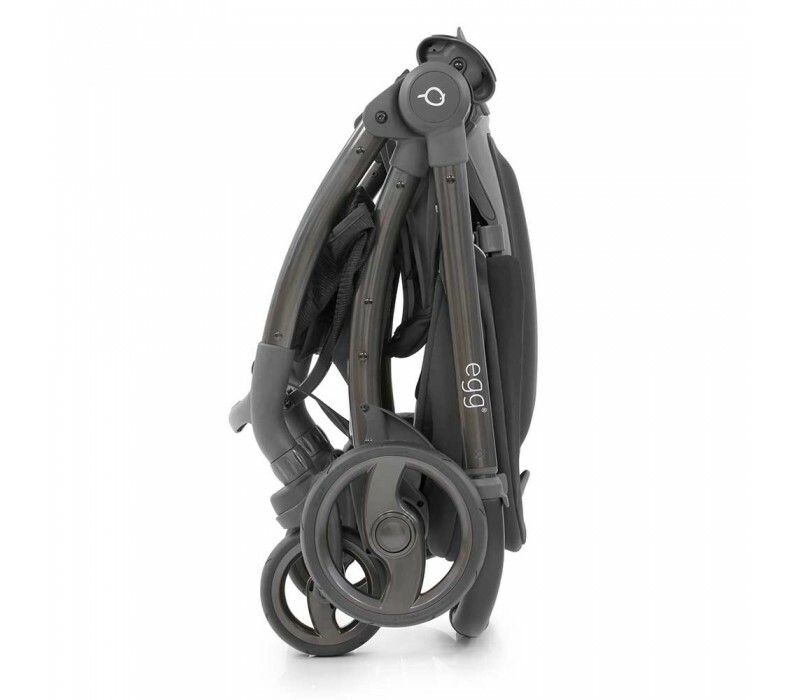 The harness is adjustable and to do so, you don’t need to swap the buckles off the stroller. Just remove the backplate and use the small lever to adjust the harness level. So you can adjust it’s height as your baby grows. The second lever behind the backplate represents the hood height level. You can use this new feature to maximise the back seat’s height according to your baby’s height, which makes this stroller even more customisable.